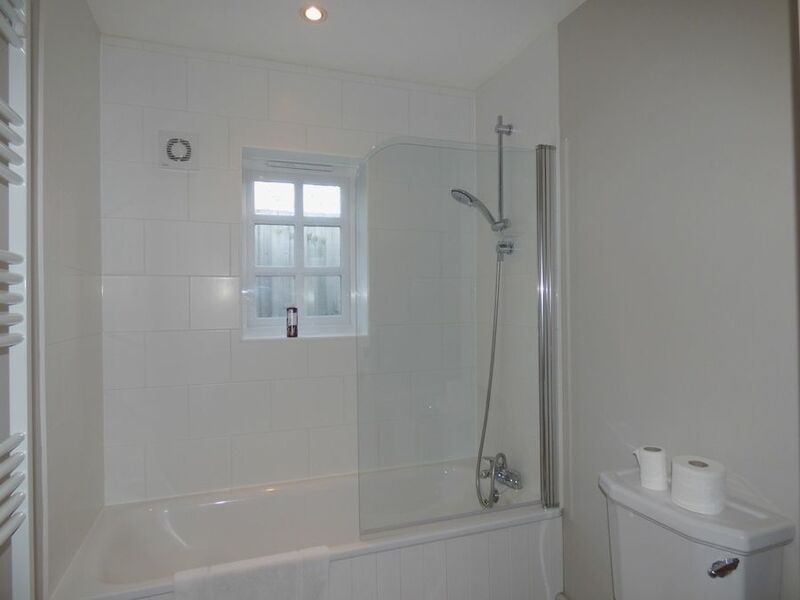 Shower room: fully tiled with a walk-in shower, hand basin and WC. 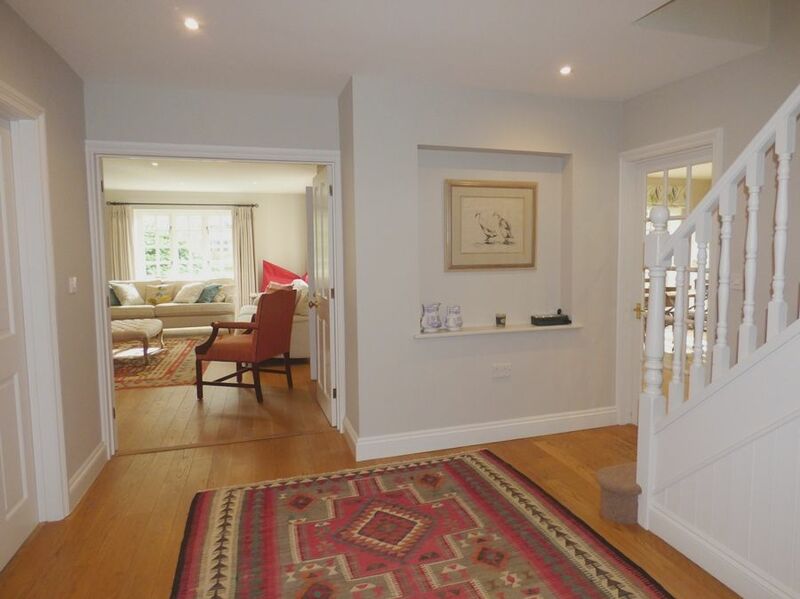 Kitchen/breakfast room: a light and airy room with glazed doors overlooking the lovely rear garden. 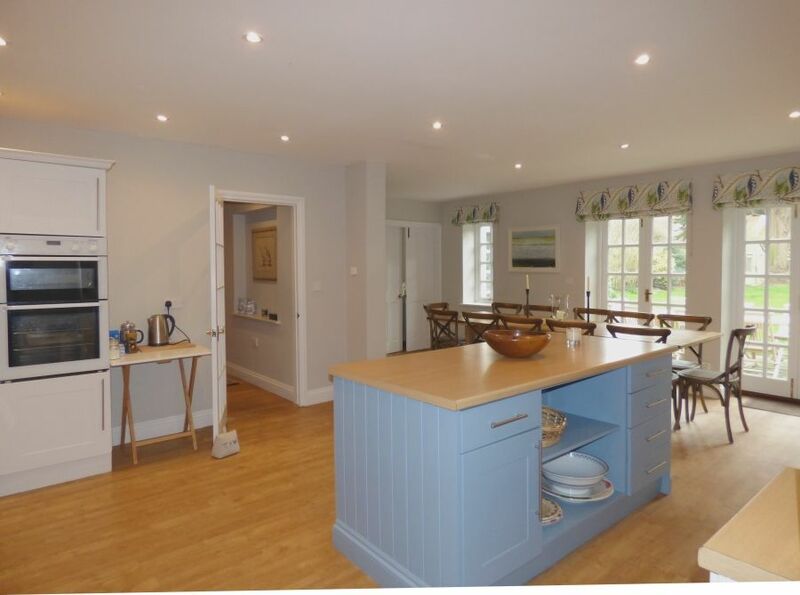 It's a very well-equipped kitchen designed to have everything needed to cater for large groups of family and friends. 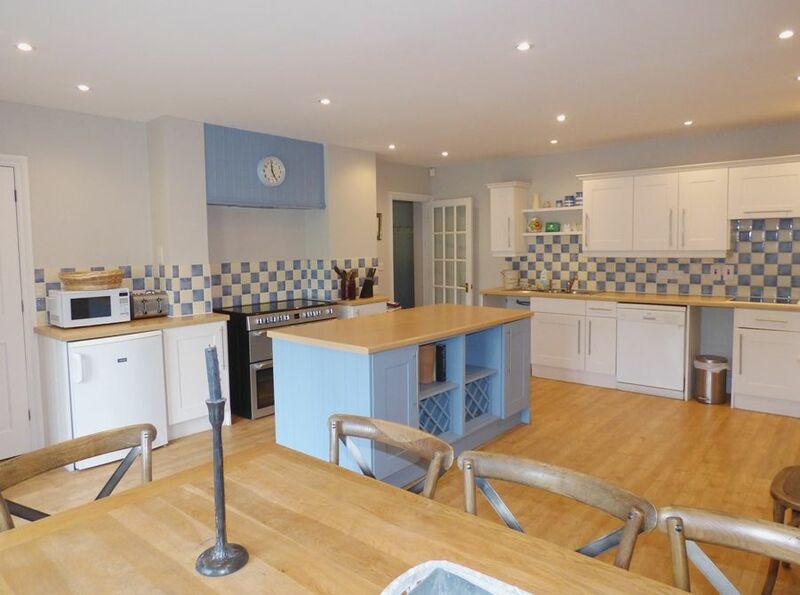 Contains a double electric oven, halogen hob, two dishwashers, microwave, fridge/freezer and a second fridge. 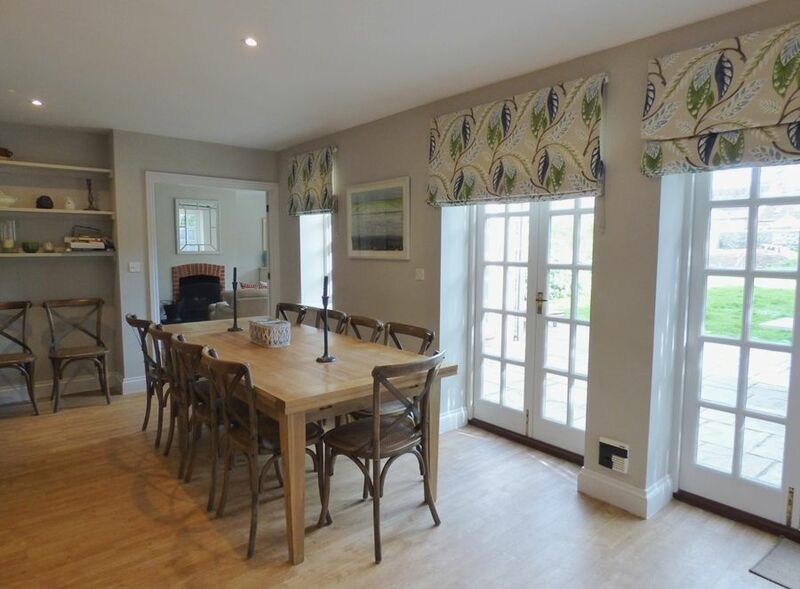 There is a large dining table which may be extended to seat up to fourteen guests. 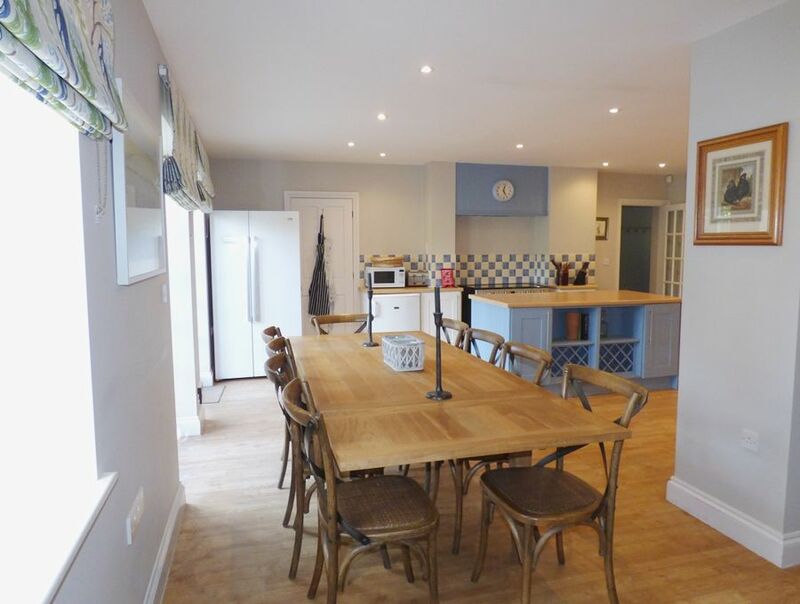 Utility room: with washing machine, tumble dryer, sink and additional cupboard space. 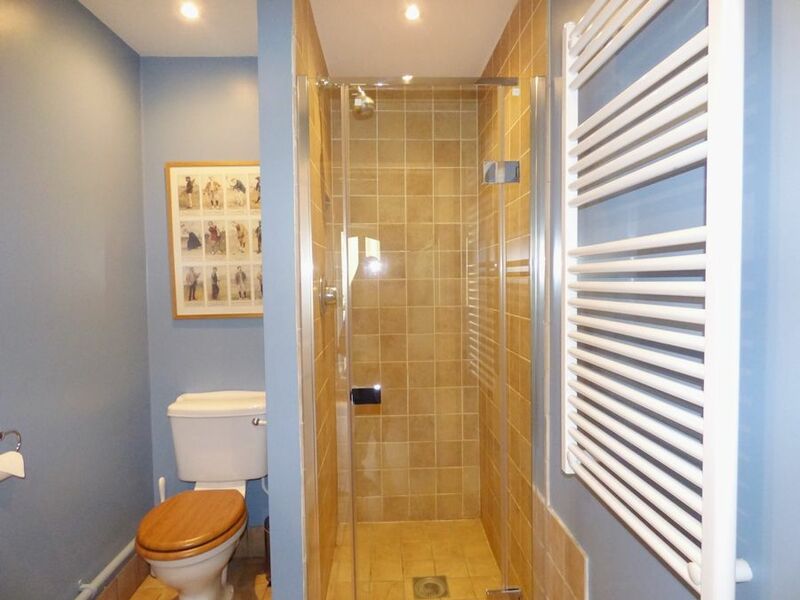 Bathroom: bath with shower over, hand basin, WC and heated towel rail. 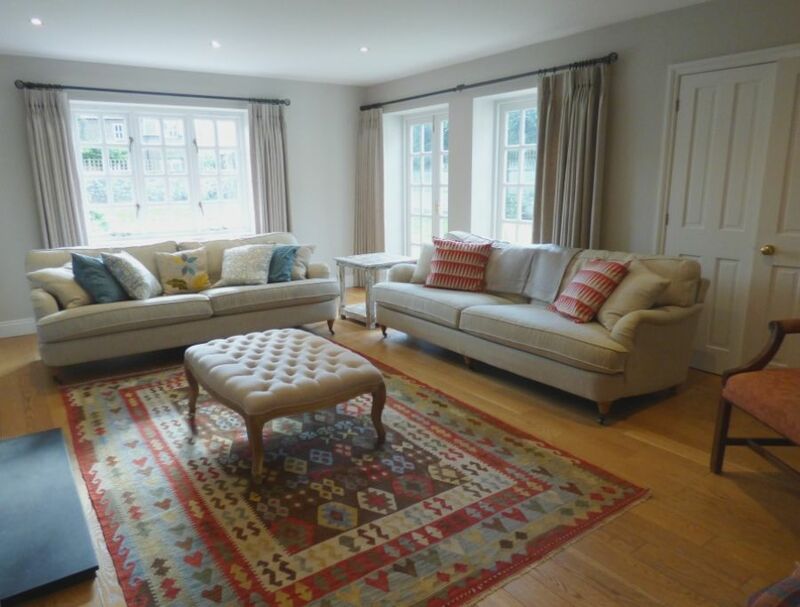 Sitting Room: overlooking the pretty garden with double doors opening onto the terrace. 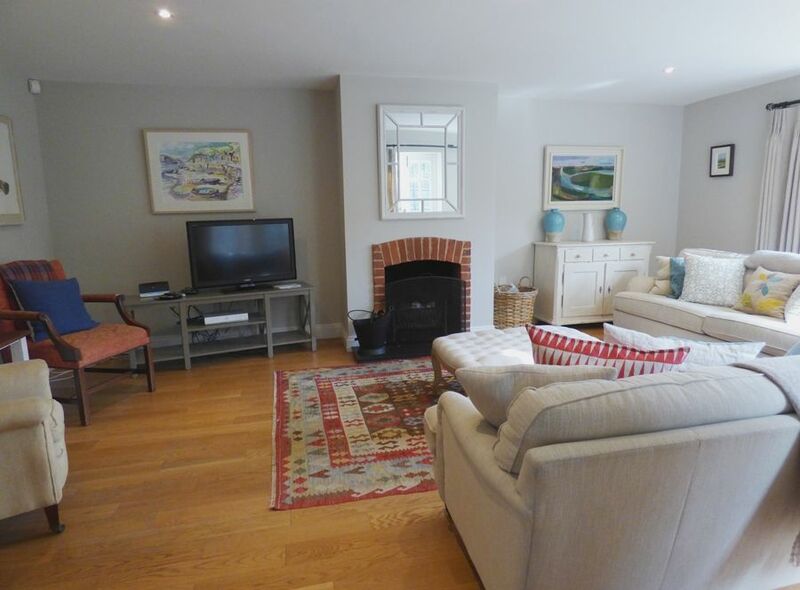 Beautifully presented room with a working open fireplace, two huge comfortable sofas, two armchairs, an enormous bean-bag, flat screen TV and a Sonos sound system. There is the advantage of free wifi provided in the house. 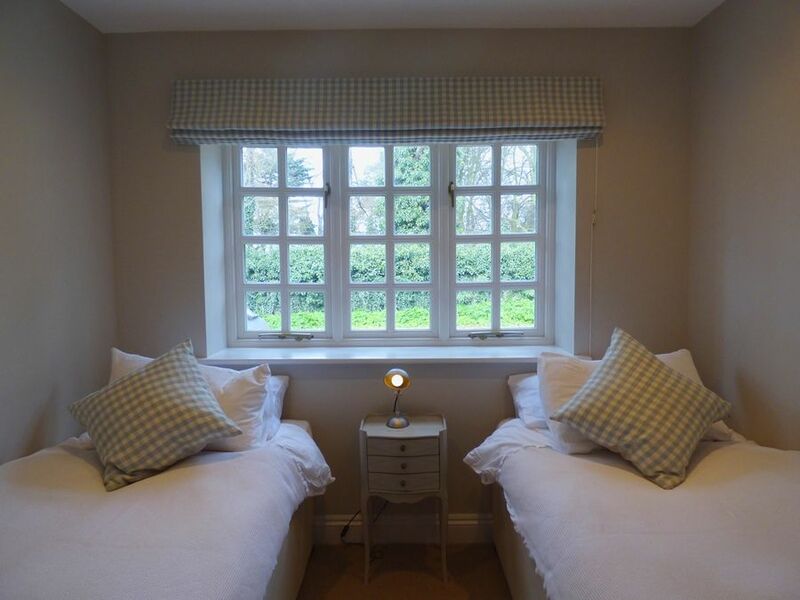 Bedroom 1: is a spacious room at the front of the house with a super king-size bed, bedside tables and lamps, blinds, large built-in wardrobe and a chest of drawers. 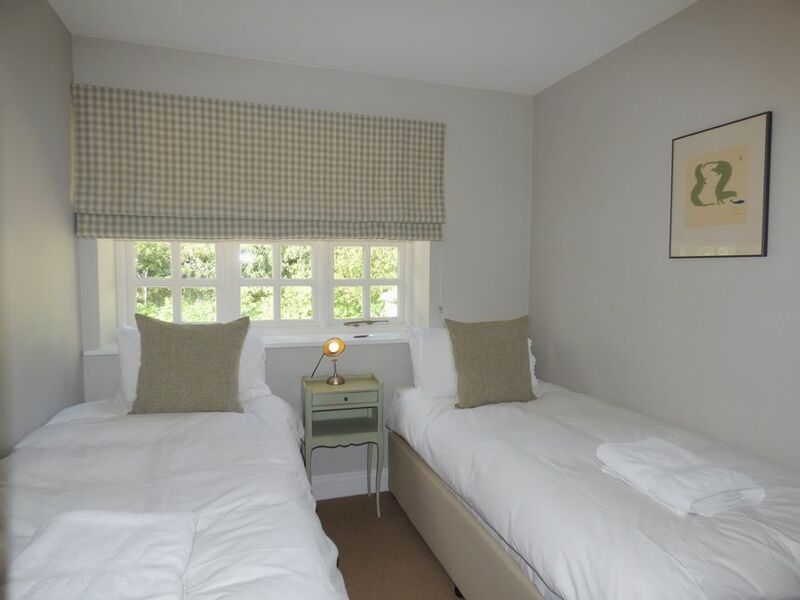 Bedroom 2: has twin beds, bedside table and lamp and a built-in wardrobe. 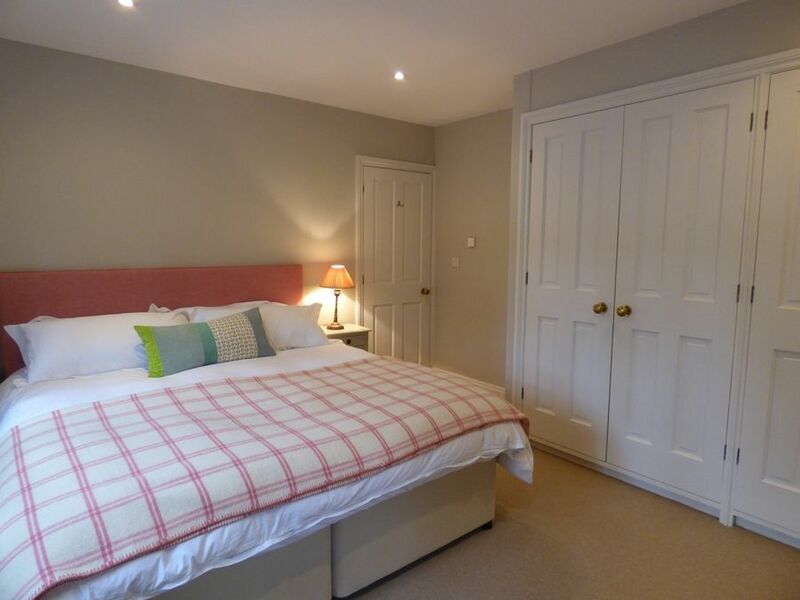 Bedroom 3: has twin beds, bedside table and lamp and a built-in wardrobe. 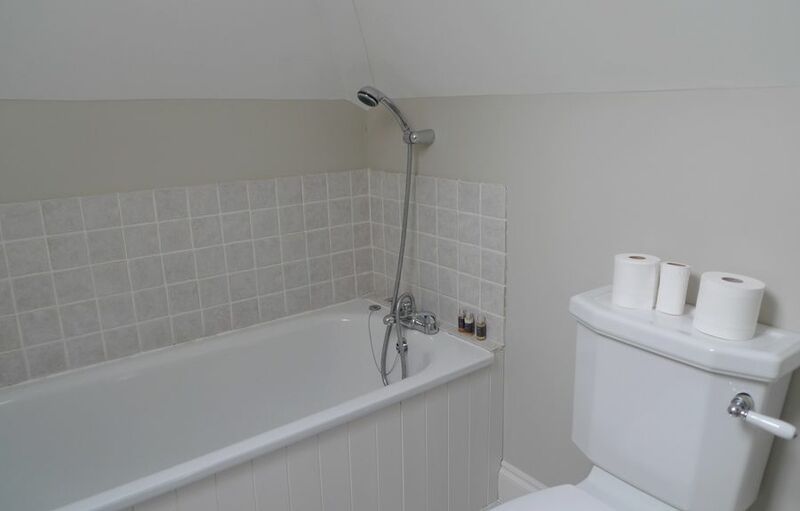 Bathroom 2: has a bath with a full height shower over, hand basin, WC and heated towel rail. 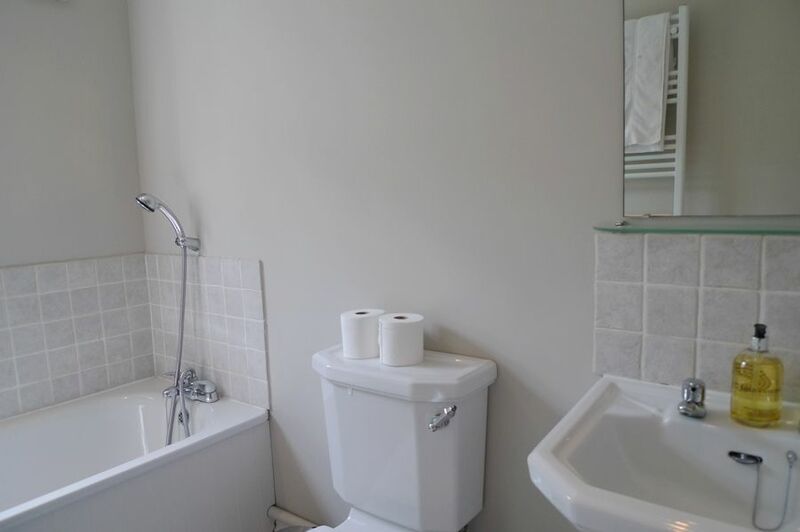 Bathroom 3: has a bath with a shower head, hand basin, WC and heated towel rail. The stairs lead up from the hall and are not steep. 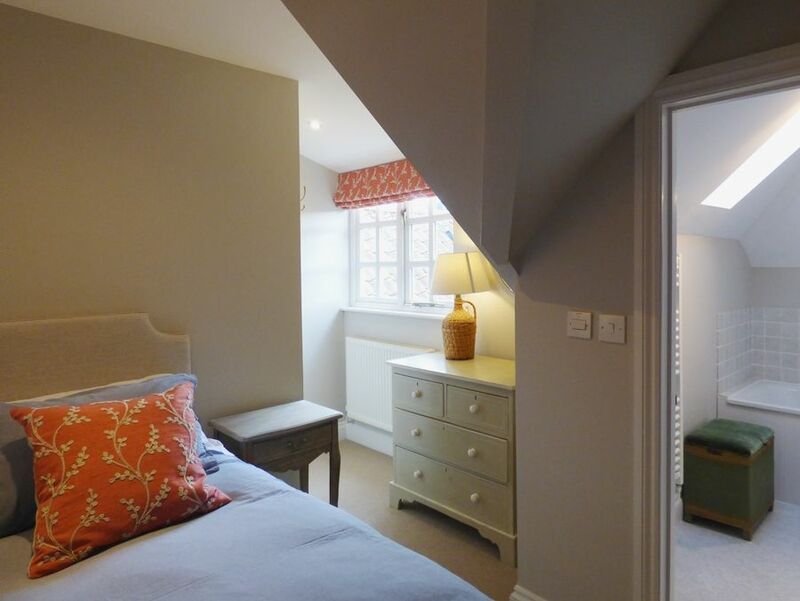 Bedroom 4: has a sloped ceiling, super king-size bed, bedside tables and lamps, a chest of drawers and clothes hooks. 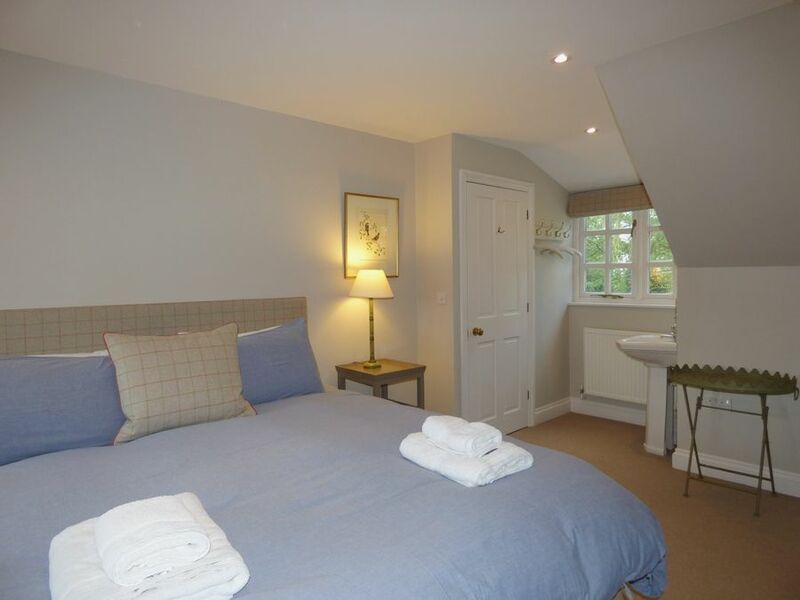 En-suite bathroom: has a shower over the bath, hand basin, WC and heated towel rail. 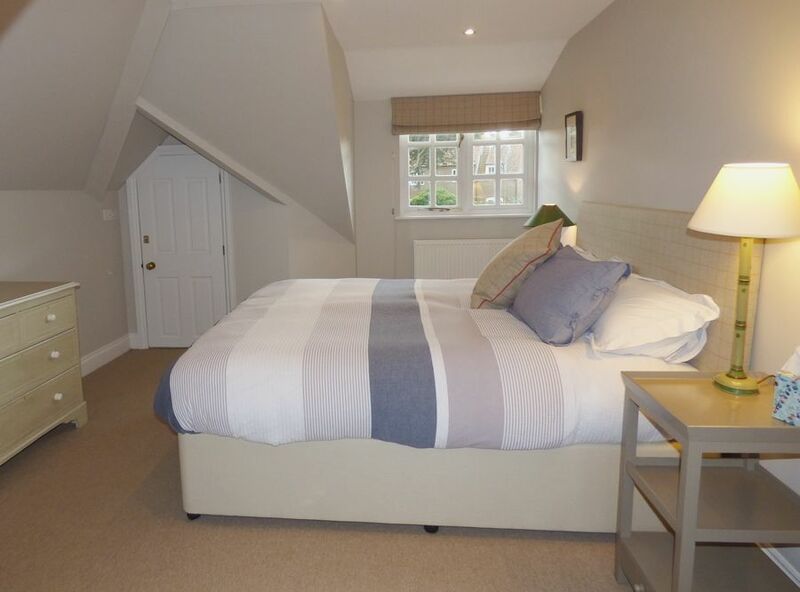 Bedroom 5: has a sloped ceiling, super king-size bed, bedside tables and lamps, chest of drawers and clothes hooks. 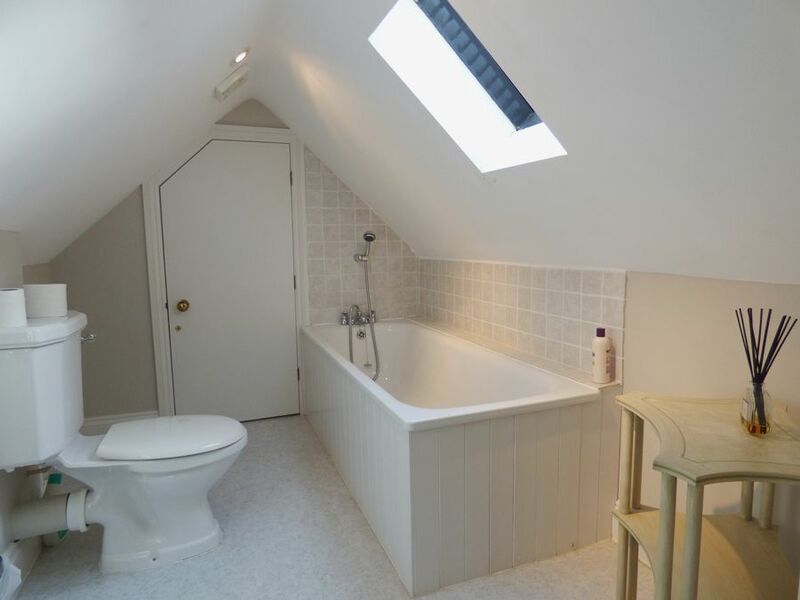 En-suite bathroom: guests should be aware that they'll need to duck when walking into the en-suite! 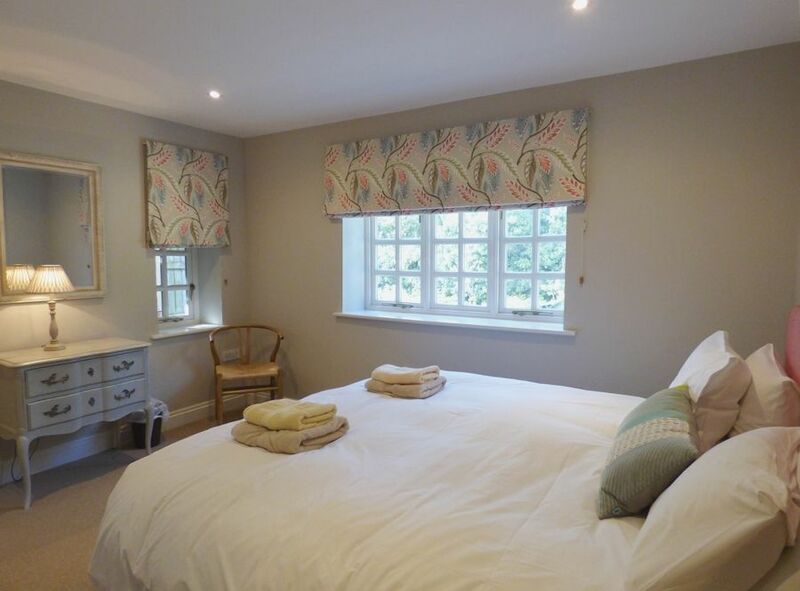 Cleverly designed with a bath with shower head, hand basin, WC and heated towel rail. 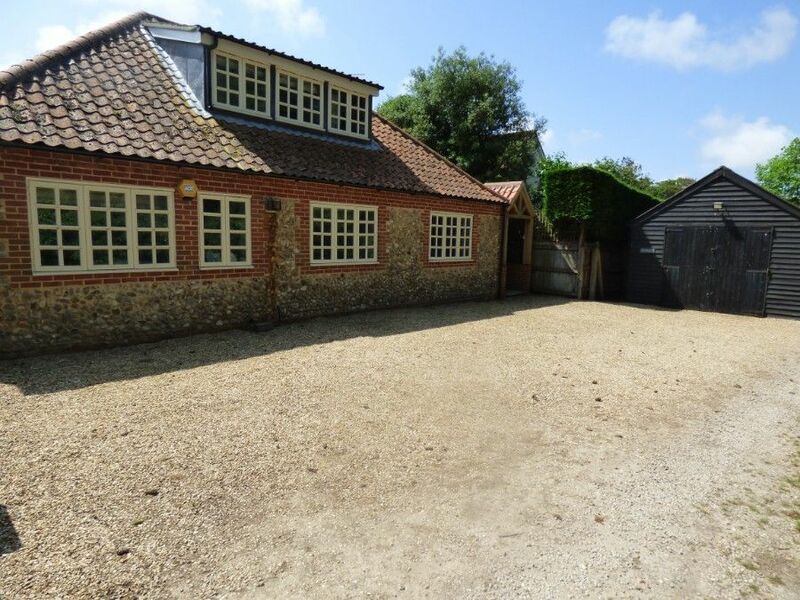 Chadwicks is quietly located accessed off Marshside in Brancaster via a long private driveway (shared with one other house). There is off-street parking for up to four cars. 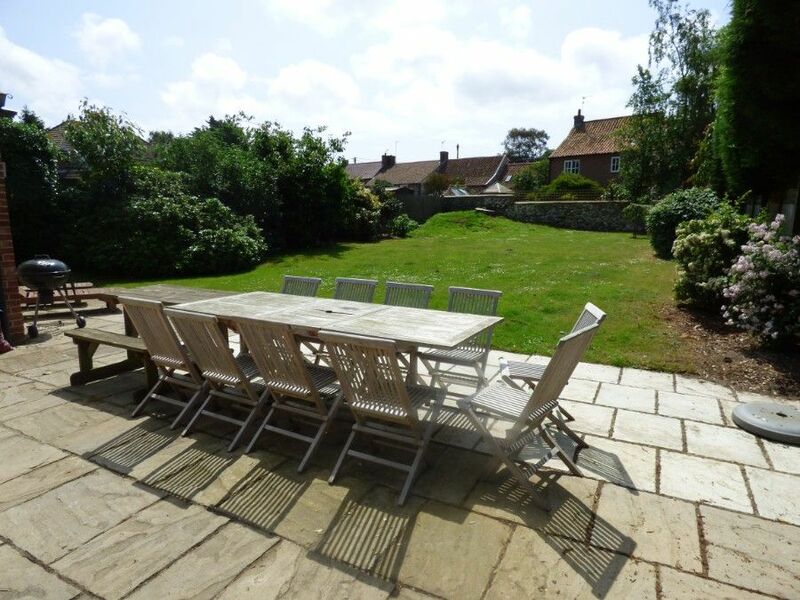 There's a lovely large lawned garden at the back of the house with plenty of space to play or to sit and relax. The garden is completely enclosed and safe for children and dogs. There is a terrace with garden furniture and a garage with a table tennis table. 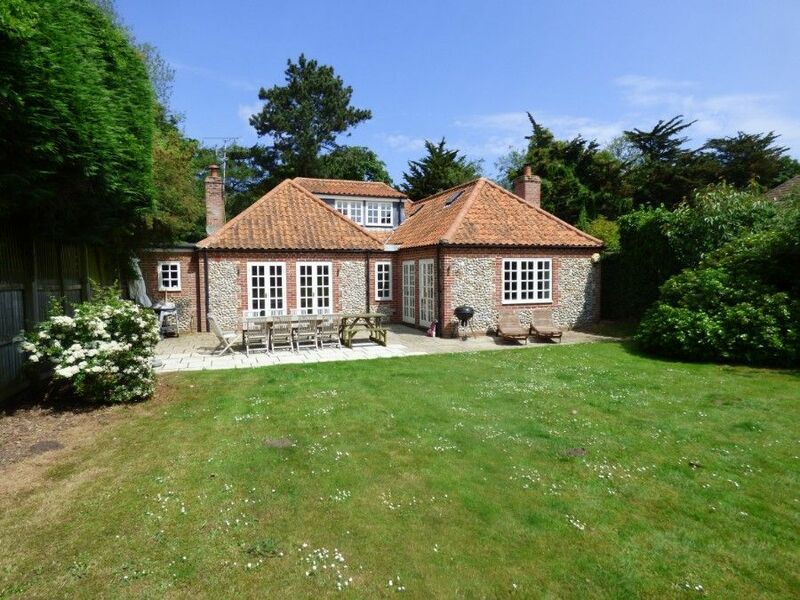 Conveniently located near to the award-winning Ship Hotel in the heart of Brancaster and within walking distance of the coastal path, Royal West Norfolk golf club and stunning sandy beach. 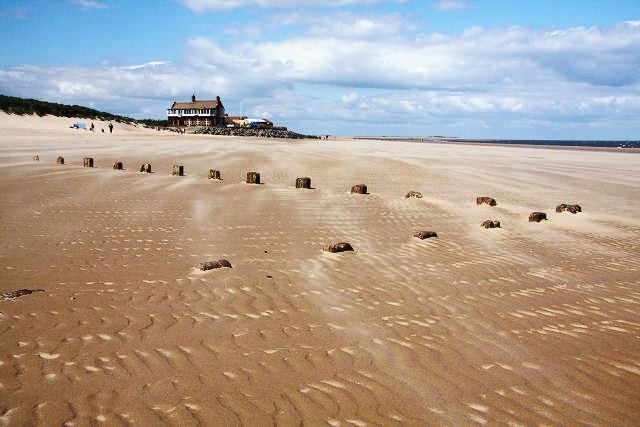 We have had a wonderful time at Wells and Brancaster, the nearby park was much appreciated by the children. 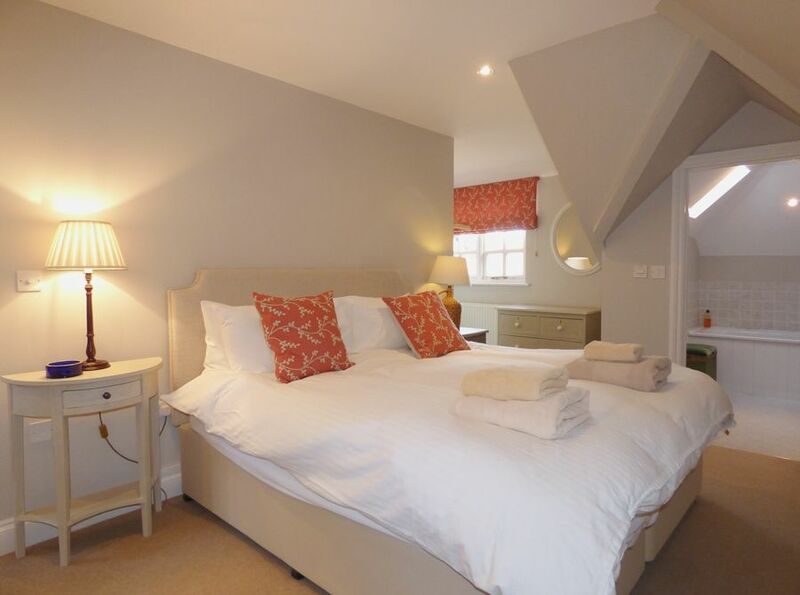 The house is beautiful and the beds are soooo comfy. My daughter cried because she didn't want to leave!! 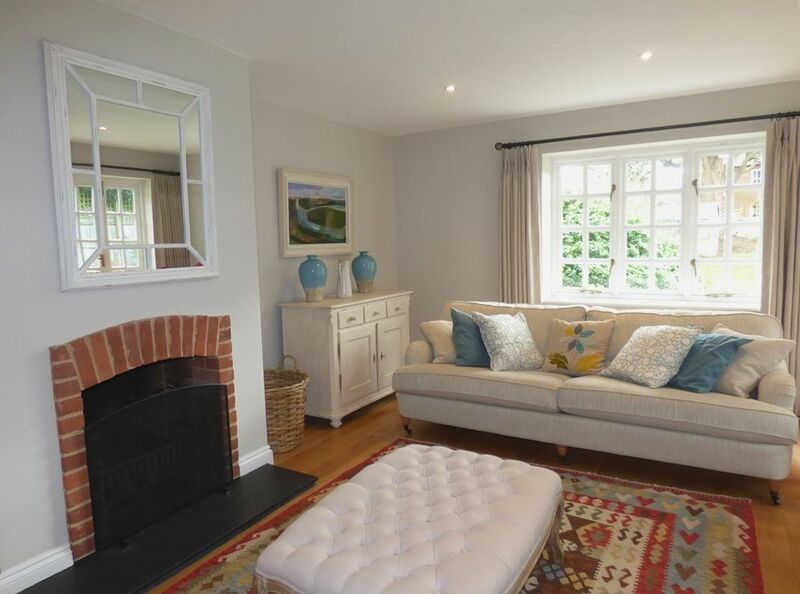 We had an amazing family holiday in your lovely cottage. Thank you so much, we are very sad to leave.